What is the difference between a gallon of milk bottled in California and another gallon sold Maine? Probably not a lot and none that you or I likely could taste. 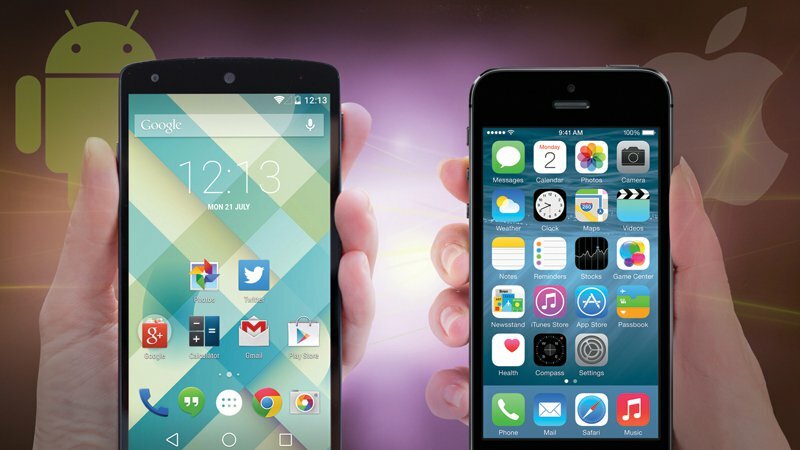 So, what’s the difference between a smartphone running iOS 8 and another that boots Android 5.0 Lollipop? Increasingly little and that’s a good thing! Yes, they’re visually distinct, but functionally iPhones and Androids are more and more alike. And, honestly, he is right. Google has gotten much better at surfacing features you actually use and need, which is very Apple-esque. Apple, for its part, has added and adapted popular features from Android et al to its market leading iPhones. Beginning with iOS 7, Apple began stripping away skeuomorphic design elements (ie torn paper edges in its calendar). The company added things like more granular control of app for improved battery management, a feature fandroids have loved for years. At Google earlier this, adopted new user interface guidelines, aka Material Design, which tell developers inside and outside the company what an Android should look like, which is an attention to detail and consistency that has been Apple’s hallmark since the ’80s. There are, of course, examples of how Google Android 5.0 Lollipop and Apple’s iOS 8 are increasingly similarly. This is both quite natural and quite naturally a good thing. How’s that? If you get into a Ford, BMW or Kia, you know pretty much what to do — gas, breaks, radio, heat/air, etc — and you’re unlikely to wreck because its materially different from any other car you’ve driven. Shared design language makes life livable, better.